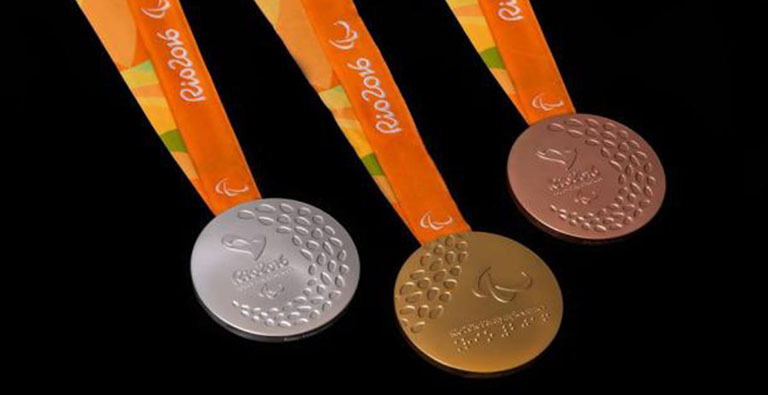 With 85 days to go until the Opening Ceremony of the Rio 2016 Paralympic Games on Tuesday (14 June), the medals which athletes will compete for this September have been revealed by the Organising Committee and Brazilian Mint. In addition to featuring braille, the Paralympic Games medals include a special innovation; they have a tiny device inside which makes a noise when the medal is shaken, allowing visually impaired athletes to know if they are gold, silver or bronze (gold has the loudest noise, bronze the quietest). The Rio 2016 Paralympic Games will feature 4,350 athletes who will compete in 528 medal events across 22 sports. They will take place between 7-18 September.